Ipoh Hindraf 6: Racist UMNO is World’s only regime to have ever prosecuted it’s citizens for merely being a member of a Human Rights NGO, other than the absolute monarchy Saudi Arabia. Case documents from the DPP’s office which should be submitted to us before proceeding with that case must be investigated first before charging in the court but this is UMNO’s court anything can be done. Malay-sia – Semua boleh. Subramaniam reporting from Ipoh magistrates Court 10.45 a.m. As the prosecution were no ready with their documents this case was adjourned to 5/5/2011 as the next Mention date. Note: Never in any part of the world has any human being a member of a Human Rights NGO except in Absolute Monarchy Saudi Arabia. But this has happened in One Malay-sia. To this effect Malay-sia has created history in being the first democratic country in the world to have ever prosecuted it’s citizen for merely being a member of a Human Rights NGO. 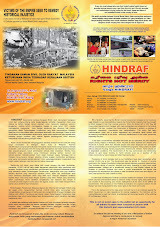 Despite four International NGO’s namely writing to Prime Minister Najib Tun Razak the racist and religious supremacist policies targeted against the Malaysian Indian poor the UMNO regime to stop Hindraf from further continuing to champion the cause of the Malaysian Indian poor has maliciously chosen to racially profile and prosecute these 6 Hindraf activists. Statement by Dublin’s Frontline Defenders in Support of Human Rights Defenders from HINDRAF. British Foreign & Commonwealth Secretary to push Malaysia on “Anti racial discrimination Act” and Equality Act. Drop all charges for 54 HINDRAF & Human Rights Party activists. Racist DAP ‘ethnically cleanses” one whole Kg Buah Pala last Indian traditional village in Penang in collision with UMNO and Penang Chinese Chamber of Commerce Tan Sri Dato’ Tan Kok Ping . Win win win for DAP who got hefty donations for their party coffers to build a new multi-storey DAP HQ to further the Chinese interests, the Penang Tan Sri and his Chinese and UMNO contractors who made their millions. But lose lose lose for the poor Indians. One cattle farmer Murugan even died of a heart attack in his 40s’ when his Indian village was destroyed. And M. Sugumaran and 8 others were denied their rightful houses just because they stood their grounds and fought to stop the “ethnic cleansing” of Kg Buah Pala. And the Penang towkay Chief Minister Lim Guan Eng gets his DAP Indian mandore DCM II Ramasamy Amasamy to hatch and rehatch and parrot especially in the 3 Tamil dailies the very same pigeon hole double storey houses in exchange for his “cari makan” puppet & mandore role as DCM II. In any event Maran, the HRP Info Chief of Penang who lives in the neighbourhood of Kg Buah Pala says even his terrace house costs only RM200,000 and that the said “blood money” double storey house has been inflated by about 3 times to RM 750,000 is false propaganda.